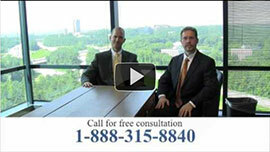 For Kennesaw, GA residents, hiring a personal injury lawyer may seem like a daunting task. When you’ve been injured, hiring an attorney may be the last thing on your mind. After suffering a personal injury, both your mind and your body may be under unbearable stress, and you may think the hassle of court will only add to your anxiety. However, if you choose Link & Smith P.C., this could not be farther from the truth. Our lawyers will put your mind at ease, and make this trying time more bearable. If you’ve suffered a personal injury, it is essential to hire a legal representative. A legal representative will help you receive the maximum compensation for your injuries, and hiring an injury lawyer at Link & Smith P.C. is undoubtedly the best choice. There are four reasons why hiring one of our attorneys will save you time, money, and stress. The four advantages of hiring Link & Smith P.C. They have experience. Mark Link and Houston Smith have over 40 years of combined experience in Personal Injury Law, so they understand the intricacies of this complex legal field. They have achieved superior case results. These attorneys have helped their clients receive compensation for up to $40 million. Their case results speak for themselves. They work on a contingency basis. This means that your attorney is only paid if you receive compensation for your injury. They are specialists in the field of personal injury law, covering a breadth of practice areas including auto-accidents, tractor-trailer accidents, motorcycle accidents, DUI victims, texting and driving accidents, in addition to other types of personal injuries. If you are a Kennesaw, GA resident who has suffered a personal injury, don’t hesitate to call the superior attorneys at Link & Smith P.C. 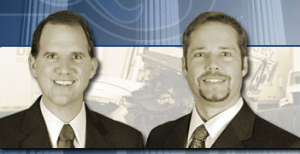 They have the knowledge, experience, and ability to help you get the compensation you deserve for your personal injury. They will work along side you during your time of trauma, giving you the individual attention needed to receive the most comprehensive case result possible. For a complementary consultation, call the office at 404-315-8840.